Rochelle Lynn Foster-Mock, 56, of Olathe, Kansas, passed away Thursday, September 29, 2016 surrounded by her family. Visitation will be from 6-8 pm, Monday, October 3rd at McGilley & Frye Funeral Home, 105 E. Loula St, Olathe, Kansas 66061. Graveside services will be 11am, Tuesday, at Oak Lawn Memorial Gardens, 13901 S. Black Bob Road, Olathe, Kansas 66062. Memorial contributions may be made to the Olathe Medical Center Hospice House. Rochelle was born April 11, 1960 in Kansas City, Kansas to Robert Lee and Rosalie (Toothman) Foster. A caregiver at heart, she operated a home day care that loved, raised and helped develop 3 generations of our youth. She will be fondly remembered as “Mom” to many of her “day care kids.” She was never one to turn a child away, as she was always willing to open her home and heart to many! Rochelle was preceded in death by her father, Robert Foster. 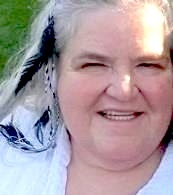 She is survived by her loving husband, Johnnie Mock, Jr of the home; her devoted mother, Rosalie Foster of Olathe, Kansas; sister, Rebecca (Bill) Fulbright; 2 brothers, Robert Foster II and Richard (Elizabeth) Foster; 4 step-children, Jeremy, Jason, Josh and Kristina Mock; 7 step grandchildren; mother-in-law, Lafaun Mock and numerous nieces, nephews, great nieces and great nephews. Rochelle will be dearly missed by all who knew and loved her.